On April 10, 2013 a meeting at the Belmont Hill School honored four faculty members who are the recipients of Endowed Teaching Chairs. All chairs honor excellence in teaching and a broad commitment to students and school life. Following Hans Wachtmeister as the Thomas R. Fuss Chair in Science is Tyson Trautz. Each faculty member spoke during the chapel; you can view the speech by Tyson Trautz by clicking on the image below. 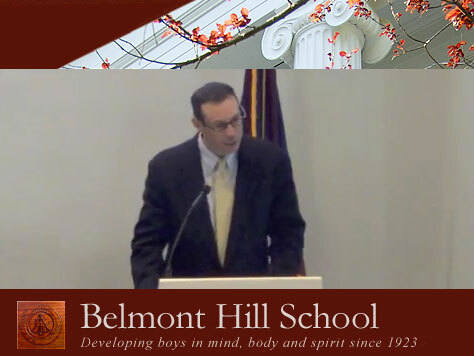 The full page on the Belmont Hill School website can be accessed here.